Who doesn’t love a party? Well the Creative Team are certainly in party mode at Print Candee. 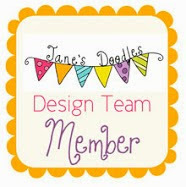 This month we are making party items using digital products that can be found in the Print Candee store. 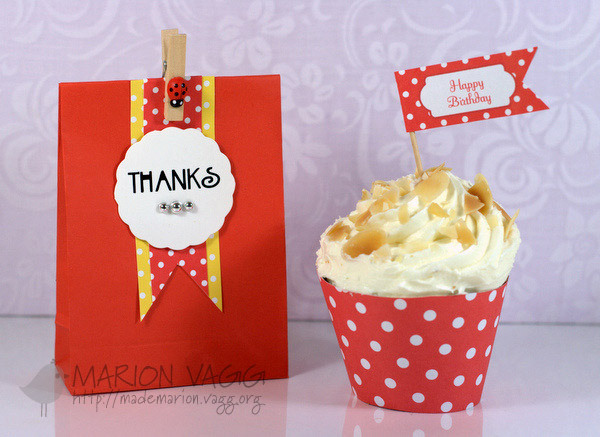 I decided to make a cupcake topper and cupcake wrapper and I also decorated a party thank you gift bag. 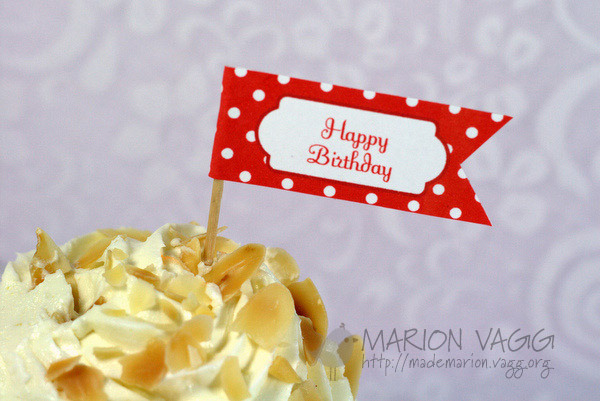 I printed off the Cupcake/Straw Flags Colorful Polka Dot (by Print Candee) to make the cupcake toppers. The great thing is that the images are editable, so you can write whatever you like on the flags. How cool is that? 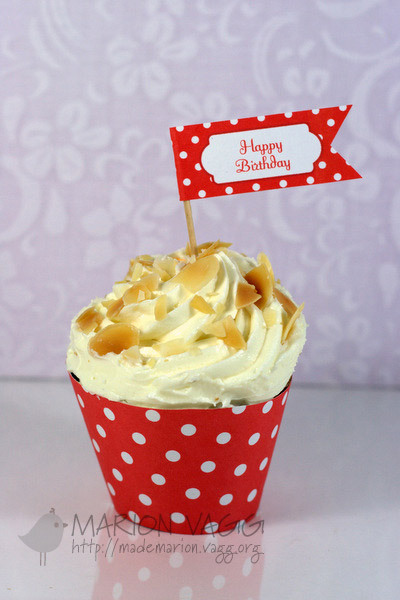 To make the cupcake wrapper, I printed off some red polka dots from the Primary Polka Dots Paper Pack (by Print Candee), but used the Printable Cupcake Wrappers for Baby Showers (by Fancy Dog Studio) as a template. 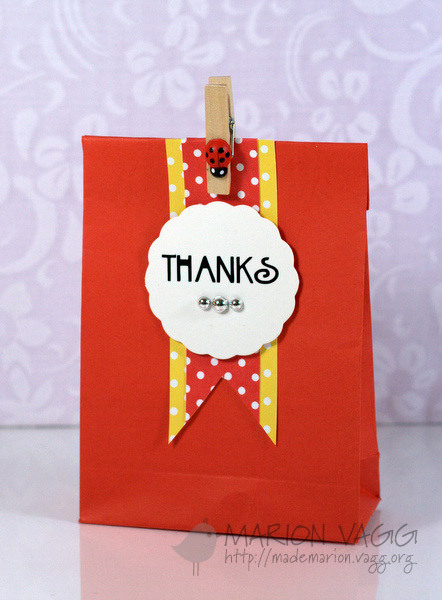 To decorate a gift bag that I had, I used the same Cupcake/Straw Flags Colorful Polka Dot (by Print Candee) product as it had some other strips of polka dot papers in it. 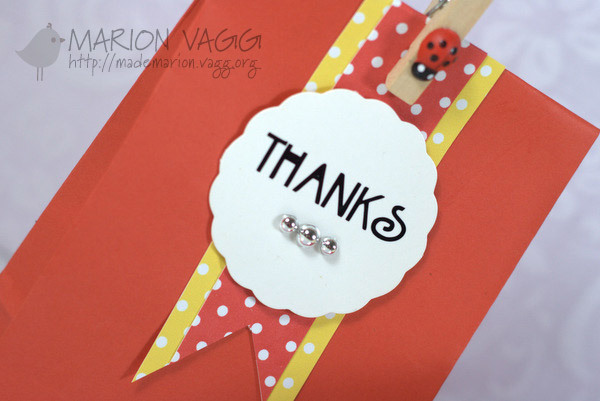 The scalloped circle was a tag from my stash and the thanks is a rub-on. Be on the lookout for the other DT projects that they will be posting over the next little while. And if you haven’t already, head to the store as they have lots of party printables to make your party planning a breeze. Lovin’ all things dotty! What a gorgeous cupcake and giftbag Marion, such a great colour combo! Super fun, bright and cheery!